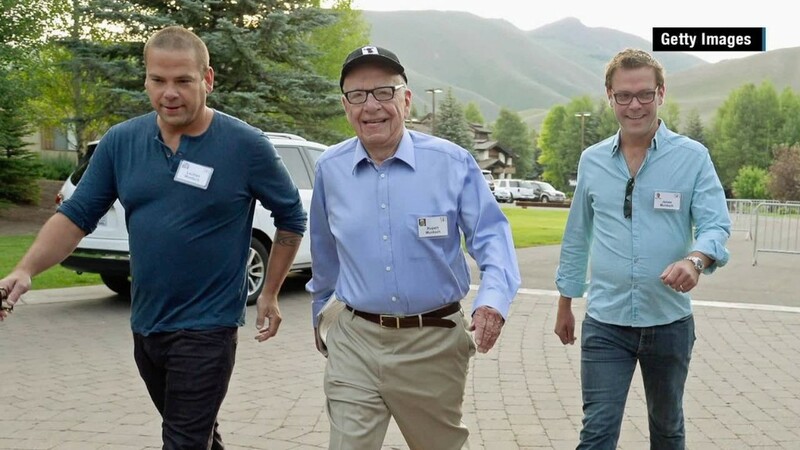 The attention quickly turned to James and Lachlan Murdoch when news broke Thursday that their media mogul father Rupert Murdoch is planning to step down as CEO of 21st Century Fox. Murdoch, 84, is expected to hand over day-to-day responsibilities of the company to his sons. James, 42, and Lachlan, 43, are veterans of their father's multi-billion dollar media conglomerate. James currently holds the role of co-chief operating officer for 21st Century, a role he's held since last year alongside the company's veteran COO, Chase Carey. "James has demonstrated in an array of roles that he is a shrewd and decisive operator who can deftly navigate complex issues to transform businesses," Carey said in a statement last year. The succession plans come three years after James was embroiled in a hacking scandal. James stepped down as chairman of News International in 2012 following a phone-hacking scandal that took place at News of the World, a British newspaper owned by Murdoch. News International oversaw Murdoch's U.K. publishing interests. He also stepped down as chairman of BSkyB, a U.K. TV broadcaster held by Murdoch. The scandal rattled Murdoch's British newspaper empire. Since taking the co-COO position last year, James has been put in charge of the company's global television business. Lachlan, Rupert, and James Murdoch. Lachlan -- the eldest Murdoch son -- is currently co-chairman within 21st Century Fox. With Murdoch shuffle he is expected to become executive co-chairman. 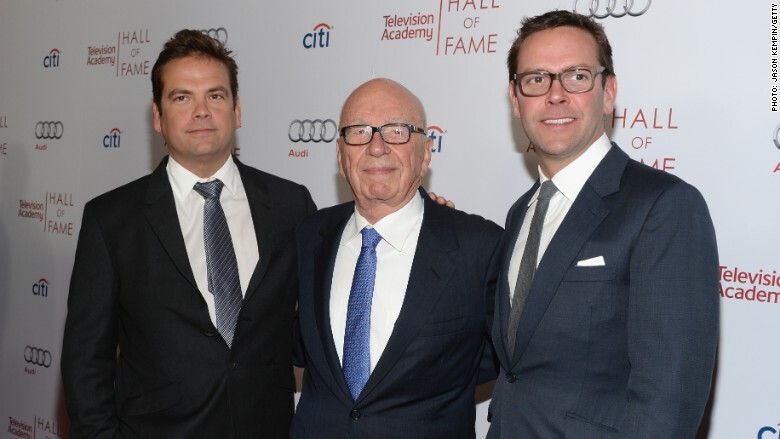 With both sons installed at 21st Century Fox, some had argued that one of the boys looked to be the likely heir to the Murdoch media kingdom over the other. However, today's news pushed the narrative that both James and Lachlan would play instrumental roles in the future of 21st Century Fox. One source close to Murdoch said Thursday that Rupert wants "his boys to run the company together." In addition to the Murdoch boys, there's also Rupert's 46-year-old daughter, Elisabeth. Elisabeth's U.K. TV production company, Shine, was bought by News Corp. in 2011. "In their father's view, it doesn't matter who takes over his company, as long as the person is named Murdoch," wrote media critic and Rupert Murdoch biographer Michael Wolff last year. Wolff added, "Before the family and News Corp. were riven by Hacking-gate, Murdoch foresaw James as CEO, Lachlan as head of newspapers in Australia, where he lives, and Elisabeth as queen of television in Hollywood."